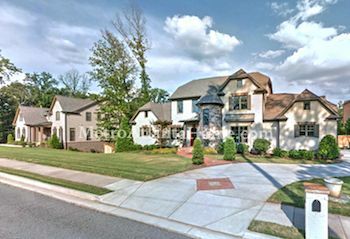 High Point is a large neighborhood situated in between Roswell Road and High Point Road. The homes in High Point range from classic ranches built in the 50s and 60s to modern homes built in the 70s and 80s. There are also some newer traditional Craftsman homes constructed anywhere from the turn of the 21st century, to this year. The properties are large and expansive, with plenty of vegetation and wide, walkable roads. Schools for High Point are High Point Elementary, Ridgeview Middle, and Riverwood High. Homes in High Point are only minutes from numerous local parks and sports clubs; GA-400 is extremely convenient, as well.